Run a 1 mile fun run, 5k or 10k this six weeks! 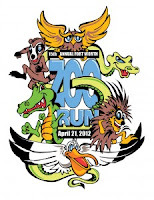 The Color Run, the Firefly Run, the Sidekick Strides for Life, Foam Fest, and the Zoo Run Run are all going on this six weeks! Get active and improve your health! As with all runs, write a brief reflection of your thoughts and upload a picture of you at the event to our photobucket account. Saturday morning I participated in The Color Run 5k, it ended up being such a fun experience! Typically I don’t go running very often; this was my first time to ever sign up and run a 5k so I was really excited for it! I had heard of the color run before but never actually participated in it until this year. It was so cool to run with 1500 other people while getting color thrown at you! At the end of the race everyone was covered from head to toe in different colors. I’m so glad I participated in it, overall I felt very accomplished afterwards. It was also good to know that we were running for a good cause, the color run chooses a local charity for each city they visit and they raise donations for them. So not only were we running to exercise but it was benefiting a local charity! 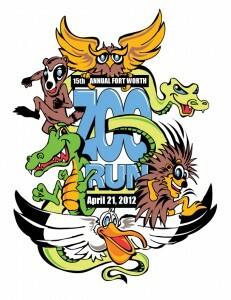 It was a great experience and I’m looking forward to participating in a 5k again! Last week I participated in the Color Run 5k in Dallas and I had a great time! I was not sure how well the run would go because although I started a couch to 5k app I was unable to finish it because I didn't have time to go running each night. When we started I began out by jogging and was pleasantly surprised when I was able to run more that I had originally expected that I would be able to. I ran along side a girl from church and her dad and we ran for a decent amount of the 5k. I thought it was so neat to have colors thrown at me because it was a new experience. I felt really good at the end of the run! Although I was not the fastest participant, I was proud of myself for doing the run. This warmed me up to the idea of running so hopefully I can find some time to go running soon! 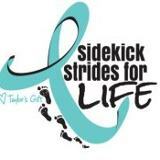 I participated in the Sidekick Strides for Life 5k in March. The weather was awful that day... It was cold and stormy so they had to delay the beginning of the race. They didn't want to cancel the race again since this was already their second date for it and they had planned so much for it! They had good food and entertainment, along with a silent auction, so the wait wasn't too bad. Once it got started, everyone participating was really energetic and it was a great run! I'm glad I was able to support some local things and get a workout in at the same time! Although the weather was pretty cold and very rainy, the turnout was great! It was nice to spend some quality time together under the pavilion for a few hours until the race began. I'm not much of a runner anymore and my pace was kind of bad, but It was a great way to notice that I was slightly out of shape. After the race, I decided to make a lot of changes towards a healthier lifestyle and to incorporate a lot more physical activity every day!